I’m running a session of The Dee Sanction at Dragonmeet (visit the website to discover more) in London this weekend. The morning session, somewhere in the big new Ilec Convention Centre. Don’t ask me – I’m sure someone will point you in the right direction on the day. Anyway, in preparation, I have redone the cards for the game. I already did it for my Complex 214 game. One criticism of the old cards was – well, they might have been a bit tough to read. I use a serif font and it was a bit on the small side. I have made the font bigger. Oddly, the cards have got smaller. It all seems to work out. 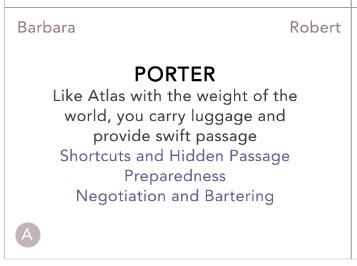 The existing features of the card show the title (capitalised and bold), a brief description, and then two or three suggested traits. I’m willing to consider other inventive options should the player wish to conjure something appropriate up and sell it to me! On top of the size changes, I have added a couple of extra features. One is a little grey circle with a letter in it. 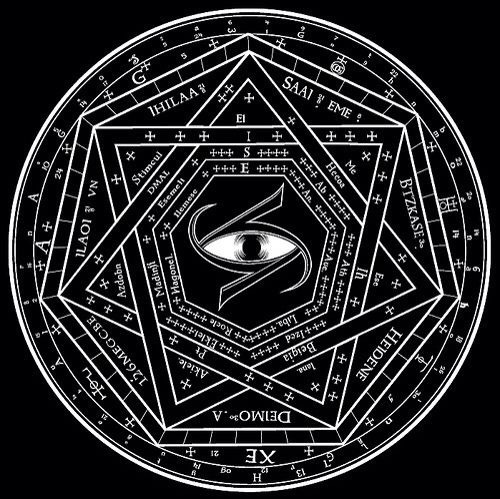 Each player should end up with an A, B and C – indicating their prior profession, the magickal text they have read, and the society they belong to (or did). The other feature, suggested names for the period. Rather than have the players flounder around thinking up a period appropriate name, each card has a male and female option suggested. With three cards, you have six suggested names. If you’re still struggling, the core rules will have suggested names with each setting. I know how difficult it can be sometimes to choose something. I’m looking forward to trying the game system out with a bunch of new people. They’ll have the chance to play through a brand new adventure, the Wax Infant of Prague.